Do you have any Viking Surnames in your Family tree? I wonder if they are still asleep in the hut above – now might be a good time to strike! 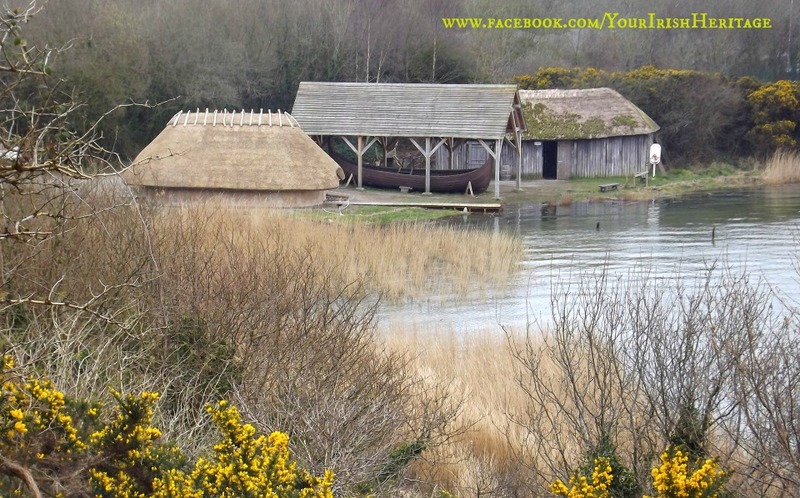 The Vikings appeared in Ireland about the 800s – and established strongholds in most of the current-day cities – Dublin, Waterford, Cork, Limerick and Wexford. Gradually, the native Gaels learned to to fight back effectively and over time through intermarriage the Vikings were subsumed into the Irish culture and DNA melting pot. Names such as Cotter, Dromgoole, Torney, Doyle, Crangle, Jennings, Lappin, Higgins, McLaughlin, McManus, Halpin, Swan, Grimes, Sweetman, Storey, Hendrick, Rourke, Cosgrave, Seery, Hever, Kitt, Broderick, Kirby, Hewson, Dolphin and Coppinger would all be modern-day Irish surnames of Viking descent. This picture was taken at the Heritage park just outside Wexford Town. Do you have an Irish Viking Surname? my maiden name is Doyle. Is O’Loughlin viking? That would be my mothers mother maiden name. O’Loughlin is apparently of Viking origin – but very much hibernicized down through the centuries. Very much associated with County Clare. I always wondered about my Grimes Surname!